Olga Domanski, 1981. Photo by Michael Pearn. The world lost a great fighter for liberation in December. Olga Domanski, who joined the socialist movement as a youth at the time of World War II, quickly found her way to the Johnson-Forest Tendency. She identified with what would become Marxist-Humanism from the moment she heard Raya Dunayevskaya speaking for the Tendency, and she established a political-philosophic-organizational relationship and friendship with Dunayevskaya that would last the rest of their lives. Domanski recognized a quality of leadership in her that Dunayevskaya would later develop under the name “philosophy as leadership.” Domanski took on as her life’s work the task of helping the development and projection of what became Marxist-Humanism—well before Dunayevskaya created her philosophic moment in 1953—and ensuring the life and growth of its organizational expression as News and Letters Committees. Beginning with her activity as a founding member of News and Letters Committees in 1955 at the height of McCarthyism, she made contributions central to the development of Marxist-Humanism and its organization for the next 60 years. Together with Andy Phillips, Domanski maintained the vibrant West Virginia Local in the 1950s, which was an important part of the development of the first Marxist-Humanist book, Marxism and Freedom, from 1776 until Today. 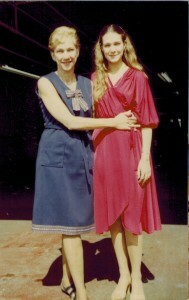 Raya Dunayevskaya and Olga Domanski, 1979. Moving to Detroit at Dunayevskaya’s request in order to be a vital part of the functioning of the organization’s Center, she subsequently served as Dunayevskaya’s secretary for over 25 years as Dunayevskaya worked out Philosophy and Revolution, from Hegel to Sartre and from Marx to Mao; Rosa Luxemburg, Women’s Liberation, and Marx’s Philosophy of Revolution; Women’s Liberation and the Dialectics of Revolution: Reaching for the Future; and all her other writings. Domanski was central to helping Dunayevskaya with so much of the writing of her books, articles, minutes of meetings, and letters, as well as organizing her notes and writings and communicating her ideas and views to others. Always at the forefront of Domanski’s mind was the crucial role of an organization based on the Marxist-Humanist body of ideas. She was the organizational person par excellence, who, as well as engaging in those kinds of tasks, did not shy away from or look down on the nuts and bolts work of keeping the national office and the organization running. For a quarter of a century, Domanski as a national organizer was essential to continuing News and Letters Committees and Marxist-Humanism after the 1987 death of its founder, Dunayevskaya. Throughout that time, she was preoccupied with the philosophical and practical question of continuity and discontinuity—after such a profound rupture as the death of a founder, how to work out “continuity with the historic course of human development,” that is, with the body of ideas of Marxist-Humanism. Olga Domanski and Erica Rae, 1979. Thanks to Domanski, News and Letters Committees still functions, and has had opportunity to demonstrate Marxist-Humanism’s historic right to exist in turning points like the struggles in Bosnia in the 1990s and in Syria today, even as other revolutionaries outside and even within the organization were failing that test. Her fidelity and principled commitment to the vision and philosophy of freedom developed by Dunayevskaya never wavered. In fact, immediately after Dunayevskaya’s death, one of her very last writings, her June 1, 1987, presentation on dialectics of philosophy and organization, was singled out by Domanski as crucial. She spoke of the need to “inwardize” it, and saw it as “both a profound testament and perspectives for us.” Shortly thereafter, she was one of two or three comrades who proposed publishing it together with the May 1953 letters establishing Dunayevskaya’s philosophical breakthrough, in the book titled The Philosophic Moment of Marxist-Humanism (Chicago: News and Letters, January 1989). Olga Domanski speaking at meeting for the centenary of Raya Dunayevskaya, Detroit, Mich., Sept. 18, 2010. Domanski was instrumental in establishing the Raya Dunayevskaya Memorial Fund in 1987 to preserve and present Dunayevskaya’s papers to her Archives, to assure that her published writings remain in print, and to encourage research into her works and ideas. 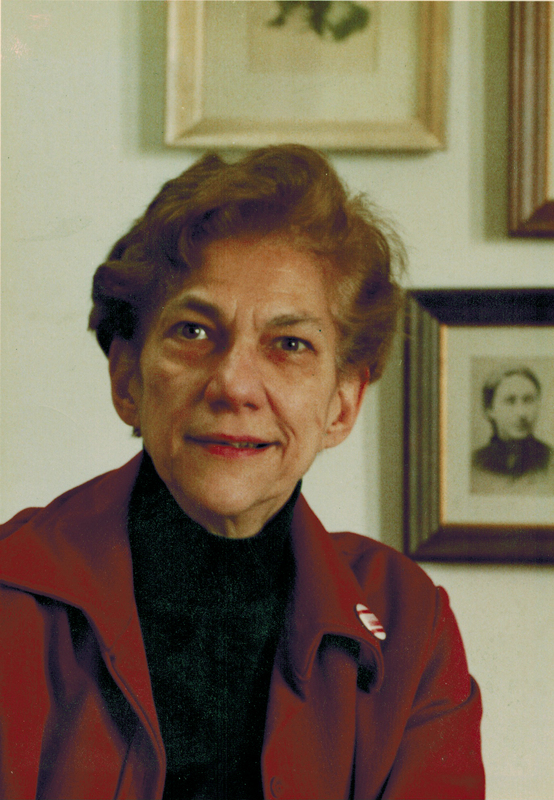 She served as one of the Fund’s Trustees from its founding until 2015. 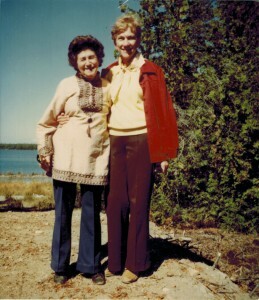 Domanski was a founding member of Women’s Liberation—News & Letters Committees in 1971, having contributed to Notes on Women’s Liberation: We Speak in Many Voices in 1970 with “Pages from a Shop Diary” of her experiences as an autoworker at GM in Flint, Mich. Dunayevskaya was determined that Domanski’s writings be recognized, and included two articles she wrote in Women’s Liberation and the Dialectics of Revolution: Reaching for the Future. Self-promotion was anathema to Domanski, whose modesty was part of her self-discipline that always put responsibility for the philosophy of Marxist-Humanism and its organization ahead of ego. 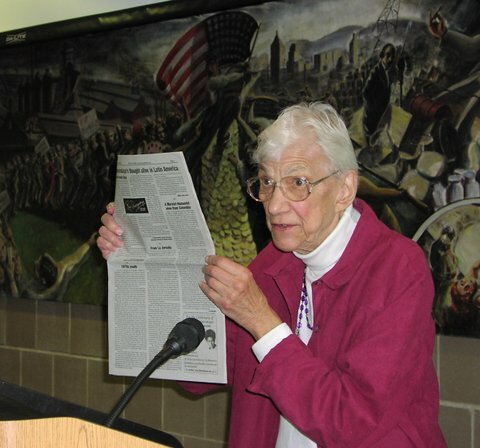 Her powerful leads, editorials and activity articles and articles that she elicited from workers, including miners, and others speaking for themselves, helped shape News & Letters as a Marxist-Humanist newspaper that met the objective situation with a philosophy unseparated from the movement from practice. (See Olga Domanski: embodiment of Woman as Reason and Women as Thinkers and Revolutionaries for examples of how philosophical her writings could be. An essay by Domanski on women’s liberation and Hegel’s notion of life will appear in the March-April issue.) At times she served on the Philosophic-Technical Committee that produces the paper, and for decades she edited the Readers’ Views section. Domanski’s friendships and correspondence with a wide array of activists, revolutionaries and critical thinkers—including members of News and Letters Committees—have encompassed over the years Adrienne Rich, Gloria Joseph, Phyllis Jordan, Narihiko Ito and Laszlo Gati. Domanski will be missed greatly not only by all of us in News and Letters Committees, but by so many others whose lives she transformed. Let us honor Domanski by continuing the organization, projecting the body of ideas so dear to her, preparing for the revolutions to come, and holding out a banner of the new human society to which she dedicated her life. To order, click on the book. See the dialectic of women’s struggle unfolding. Women’s Liberation and the Dialectics of Revolution: Reaching for the Future by Raya Dunayevskaya contains two contributions by Domanski: “A Summary of Six Lectures for International Women’s Year (1975)” and “Women’s Liberation in Search of a Theory: The Summary of a Decade.” $25 for the book includes a free one year subscription to News & Letters. Bound Volumes of News & Letters contain numerous Leads, Editorials and articles by Olga Domanski. They are as well a history of labor, Black, youth, and women’s struggles throughout the decades, including subjects of revolution speaking for themselves unseparated from theory and the philosophy of Marxist Humanism. 1977-84, 1984-87, 1987-94, 1994-99, 2000-2010, $70.00 each, includes a year’s subscription to News & Letters and a copy of Women’s Liberation and the Dialectics of Revolution. This entry was posted in Articles and tagged Adrienne Rich, Andy Phillips, Gloria Joseph, Johnson-Forest Tendency, Laszlo Gati, Marxism and Freedom: From 1776 Until Today, Marxist-Humanism, Narihiko Ito, News and Letters Committees, Notes on Women's Liberation, Notes on Women's Liberation: We Speak in Many Voices, Olga Domanski, Philosophy and Revolution: From Hegel to Sartre and from Marx to Mao, Phyllis Jordan, Raya Dunayevskaya, Raya Dunayevskaya Archives, Raya Dunayevskaya Memorial Fund, Rosa Luxemburg Women's Liberation and Marx's Philosophy of Revolution, The Philosophic Moment of Marxist-Humanism, Women's Liberation and the Dialectics of Revolution: Reaching for the Future. Bookmark the permalink. Me dio mucha tristeza esta noticia, conocí a Olga el 1 mayo de1990 en un sitio muy simbólico: en el cementerio donde se encuentran los mártires de Chicago, tuve la oportunidad de conversar con ella y siempre me pareció una mujer maravillosa. Deseo que descanse en paz. Y que su pensamiento libertario heredado de Raya Dunayevskaya continúe en cada uno de los hermanos y compañeros que siguen en N & L.